This Boys Policeman Costume with Hat, Jacket with attached Shirt, Tie and Trousers has a classic look which is ideal for any dressing up occasion. 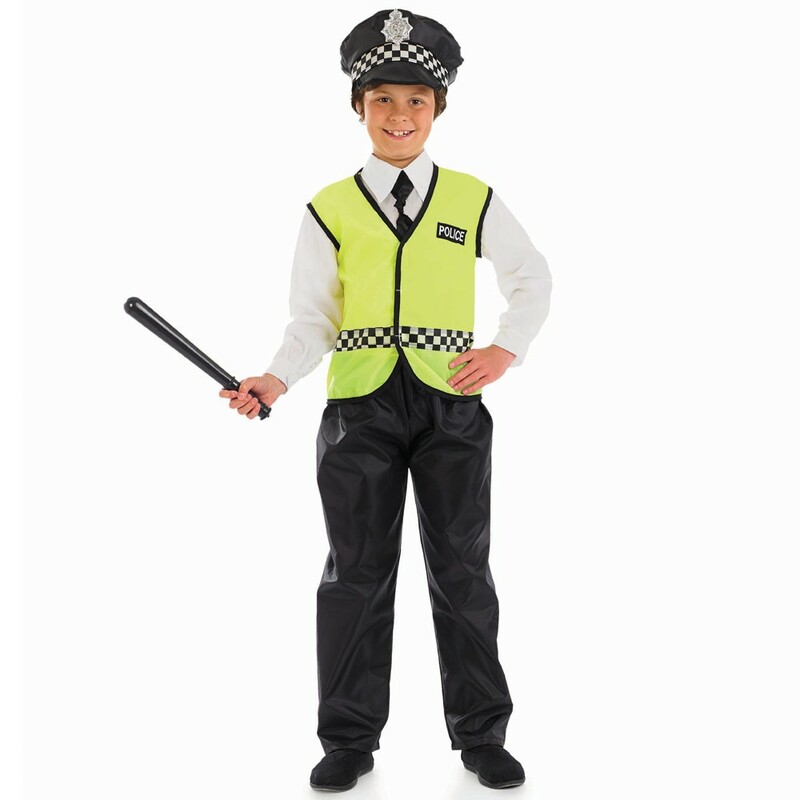 This Boys Policeman Costume includes Hat, Jacket with attached Shirt, Tie and Trousers and is ideal for ‘Cops and Robbers’ or any imaginative play – giving an aspiring officer of the law hours of fun. The top section comprises of a high visibility style jacket with attached shirt arm and collar, a black tie and the classic check design. The front of the jacket also features POLICE across the front. The co-ordinating black hat also has the black and white check design and a silver police badge. 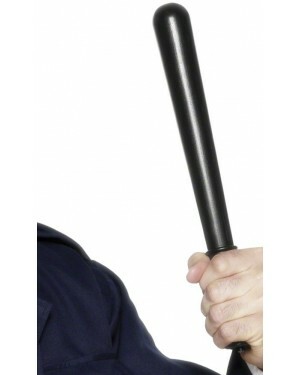 A pair of black trousers complete this Boys Policeman Costume. 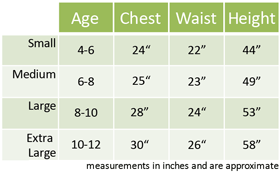 They have a shiny design and elasticated waist for comfort.